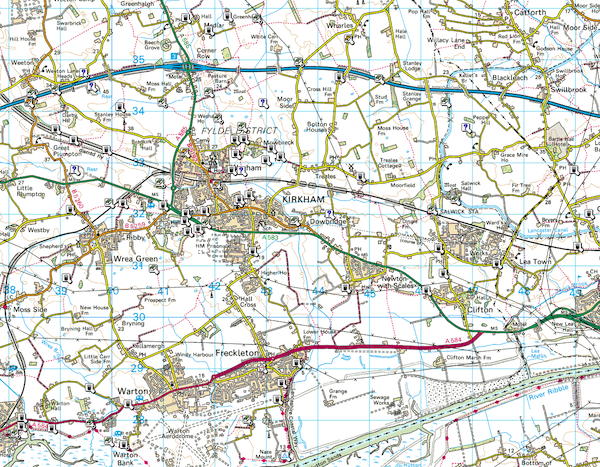 A return trip to Kirkham, near Blackpool is our plan for caching tomorrow. I ended up there at the end of the day last Saturday and only scratched the surface of the many, many caches in the area. Isaac is keen to come to the area too, so we plan to start by M55 J3 and then work our way round as many caches as we can, including the Virtual at Freckleton as it’s not often you get the chance to do a Virtual. In the remote event that we run of out caches to do in that area, we’ll head around the coast towards Lytham St Anne’s and then perhaps towards the South Shore at Blackpool, which will give us a quick and easy way of getting back on the M55 homebound.